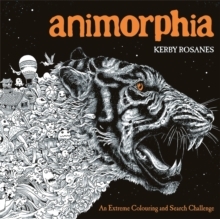 Welcome to the third and fabulous colouring book from the sensational Kerby Rosanes, Mythomorphia. 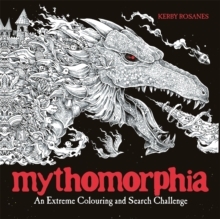 Featuring his unique and intricate ink drawings, this book includes images of gorgeous mythological creatures morphing and shapeshifting to create Kerby's signature, breath-taking scenes. From magnificent dragons and a fiery phoenix to beautiful mermaids and mischievous goblins, this book is truly out of this world. 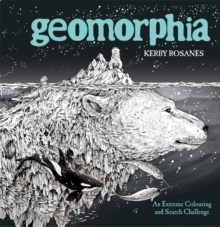 Every super-detailed picture can be coloured in and all of them hide a selection of search objects to find.  Readers will have to keep their eyes peeled for these items scattered throughout the pages. 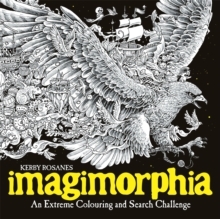 On top of the success of Animorphia and Imagimorphia, Kerby's skills have already earned him a solid fan base.